Motherhood is hard. In fact, I am typing this post up while my boys are getting a good night's rest. This is the only time that I actually experience complete silence, no distractions and have the opportunity to cross a few items off of my to-do list. Ironically, I am using a shot of 5-hour ENERGY® to put a bit of pep into my step (well, my fingers are doing most of the walking for now). I haven't nodded off once. I would say, "mission accomplished"! Well, almost. Before my head hits the pillow and I begin counting sheep, I wanted to share with you this amazing video contest that 5-hour ENERGY® is hosting. It's the 5-hour ENERGY® "Yummification" video contest and it requires some creative juices, both figuratively and literally. There are a lot of cash prizes involved as well (think dream vacation, paid debt, shopping spree...you feel me?!). Here is what you need to know. Entries must be received by August 19, 2014 at 11:59 p.m. EDT to be eligible. No purchase necessary. US residents only. 18 years and up. 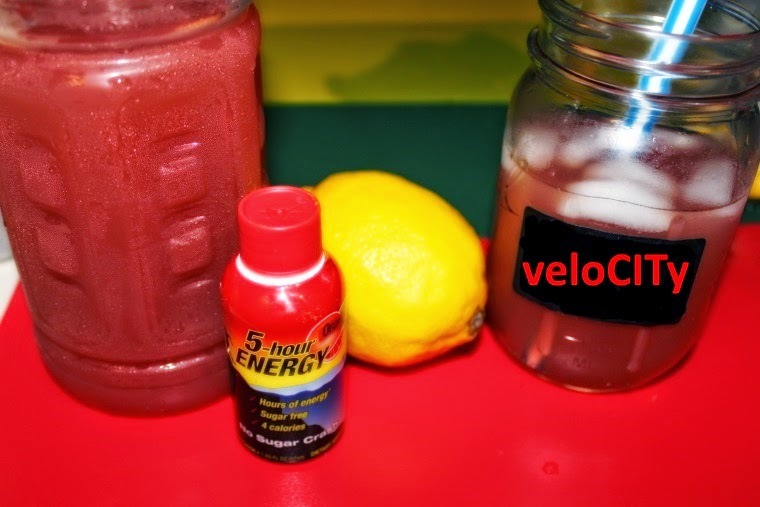 To enter, visit www.5houryummification.com and follow the instructions to complete the entry form or “Like” the 5-hour ENERGY® page on Facebook at https://www.facebook.com/5HourEnergyShot and follow the instructions to click the contest tab. · For official rules, visit 5houryummification.com. I chose this name because I used all citrus fruits. Get it? CIT(rus). The emphasis is on those few letters. veloCITy. Corny, I know. Whatever. Also, this drink gives you a boost and keeps you going, making you pick up the pace and gain some speed. No stopping this energy. Boom! I wanted to use affordable and common items that most people have available at home. Nothing too fancy. You need to be able to duplicate this easily. You can increase the ingredients and have a pitcher ready. Just add the 5-hour ENERGY® shot. First, squeeze/add the grapefruit juice into a cup, dish, whatever. Then, cut a lemon or lemons in half. Remove any seeds, if desired. Squeeze/pour the juice into the grapefruit juice. Lastly, add the 5-hour ENERGY® Orange. Using a different cup, preferably a Mason jar for added coolness, fill with ice. Transfer the mixed beverage to the container. **There is a list of approved drinks for this contest. Be sure you follow the rules. · Zero sugar, zero carbs, zero herbal stimulants and 4 calories! I'll follow up with more information on the winners. I can't wait to see the different combinations that people come up with . 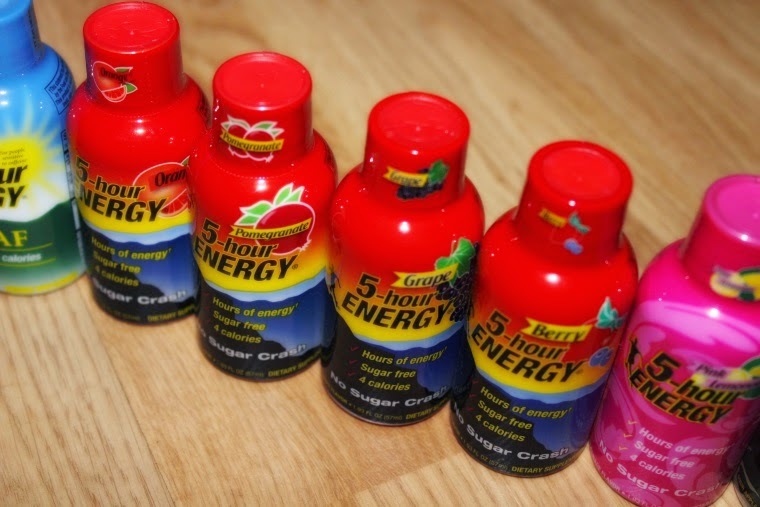 For now, follow 5-hour Energy on Twitter, @5hourEnergy, for updates. Thanks to my veloCITy creation for helping me complete this post. I didn't think I would make it.